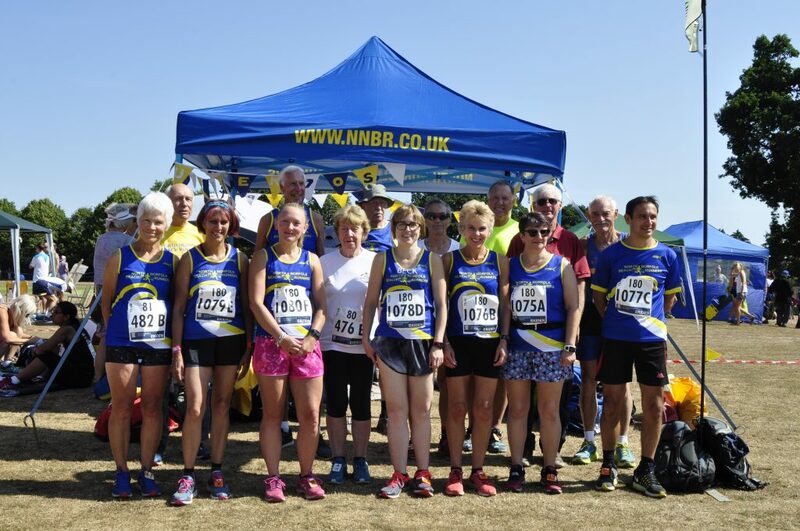 On one of the hottest Sundays of an already hot summer, North Norfolk Beach Runners sent three teams to the Ekiden marathon relay organised by Ipswich Jaffa Running Club at Woodbridge. Ekiden, an idea which began in Japan, is a marathon length race run in six stages of ranging from 5k to 10k. The Woodbridge event, which snakes around the grounds of Woodbridge school and is the only one in the UK, was established over 20 years ago. This year’s involved 200 senior teams which, together with juniors, added up to more than 1600 runners. NNBR’s squad comprised firstly five female runners and a male competing as Pearls and Dean (he’s a diamond) who lost a lot of moisture in accumulating a time which had still to be confirmed at the time of going to press. And then, in keeping with the club’s previous two years of participation, the mature end of the membership was represented by the SuperSeventies and SuperSeventies Too squads, which respectively gained second and first places in the over-70s category, not bad for a cumulative age of 891, which is slightly more than Norwich cathedral and yet more mobile. A significant contributor to that statistic was the legendary and inspirational Malcolm Ball, 84, back on track after a health blip, who knocked off a 5k leg in 30C and hardly raised a sweat. Therein should lie the aspiration of all runners. 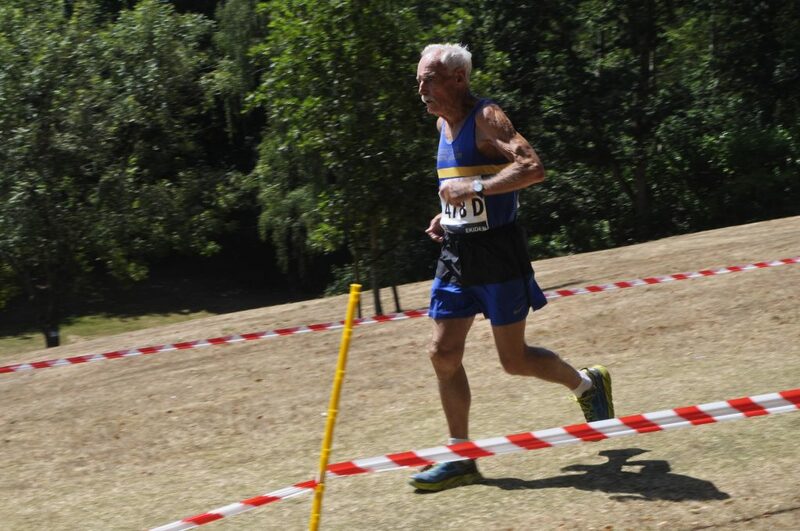 The legendary Malcolm Ball at Ekiden – and that’s sun cream, not sweat.